Samsung's next-gen flagship handset to be re-branded the Samsung Galaxy S 3D? Samsung's next-generation addition to the dominant Galaxy S range could boast 3D technologies from launch, new reports have suggested. 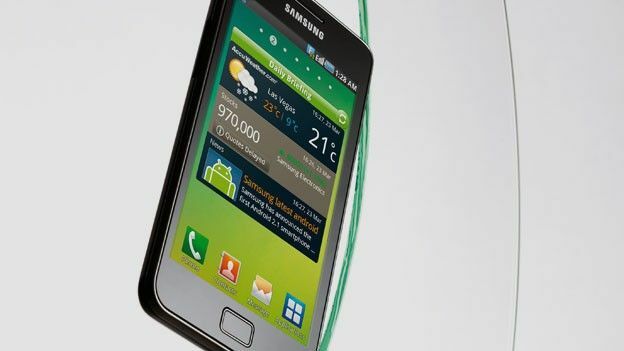 Repeatedly leaked and reportedly set for an MWC 2012 unveiling next month the eagerly awaited Samsung Galaxy S3 release could see the handset re-branded the Samsung Galaxy S 3D whilst adding the extra-dimension technology to its display and camera offerings. The questionable rumours, which coming courtesy of tech blog IBTimes, have suggested the Galaxy S3 will sport a glasses-free 3D display and follow on from the brace of 3D capable handsets released last year in the form of the LG Optimus 3D and HTC Evo 3D, two devices which failed to ignite a world of interest. Whilst it is highly unlikely that Samsung will tarnish the next instalment to its high-end handset franchise with widely unwanted 3D technologies a number of recently leaked specs appear a more likely filling for the Samsung Galaxy S II replacement. Tipped as touting a hefty 2GHz dual-core CPU with 2GB of RAM the Samsung Galaxy S3 is lined up to land with a whopping 4.6-inch Super AMOLED Plus HD display and an impressive 12-megapixel camera with 1080p full HD video recording capabilities. What would you like to see Samsung incorporate within the upcoming Samsung Galaxy S3? Would 3D functionality feature anywhere on your list of requirements? Let us know via the comments box below.